Invisalign braces offer a discreet way of teeth straightening so you can still smile with confidence while undergoing an orthodontic treatment. You can have a beautiful smile with straighter teeth, without having a smile full of metal wires and brackets. Invisalign uses a series of clear, custom-moulded aligners that are almost invisible to move teeth into a more properly aligned position. The Invisalign treatment uses a series of custom-made plastic aligners to move teeth gradually into better alignment, with results that can be seen in as short as 6 to 12 months, depending on the individual case. The aligners will be changed every 2 weeks to improve teeth alignment. You have the option to have your aligners changed every week instead of every 2 weeks if you want to see results in as short as 3 months. The Invisalign system uses invisible aligners made of clear plastic that are not only comfortable to wear, but also offer a discreet tooth straightening option without visible metal wires or brackets (such as those used in conventional braces). Invisalign Lite – Used to treat mild to moderate teeth misalignment and can also be used to manage teeth relapse after using conventional orthodontic braces. Suitable for minor teeth alignment indications that can be fixed using a maximum of 14 aligners. 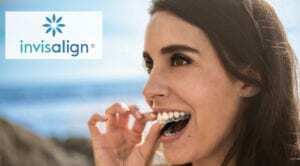 Invisalign Teen – Specially developed for teenagers’ use with wear indicators that keep track of the time the aligners are used, to help the younger wearers with their compliance with the orthodontic treatment. Invisalign Teen aligners are also designed to take into consideration the possibility of new permanent teeth erupting during the teeth straightening treatment. Invisalign Express – This treatment option is for those who have minor teeth crowding or spacing issues, which can be corrected using 5 (Express 5) or 10 (Express 10) aligners, which will take 3 to 6 months to be completed. Invisalign i7 – Used for minor teeth movement as a result of teeth relapse, spacing, or crowding. This system uses a maximum of 7 aligners to move teeth into proper alignment, with results that can be seen in as short as 3 months of treatment time. 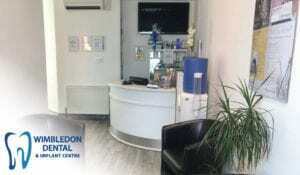 At Wimbledon Dental & Implant Centre, we make it a point to give you all the information you need to make the best decision for your dental health. Our highly experienced team will graciously welcome and assist you so you can have the most comfortable and hassle-free experience possible. Get a free orthodontic consultation in Wimbledon, Southwest London to check your suitability for Invisalign braces. We offer a special discount price for both arches, from £2850 – please get in touch with us for more information. We offer easy payment plans that do not require credit checks, and 0% finance for up to 10 months. We offer clear pricing information so you can look forward to getting the best treatments without any unwanted surprises with regards to fees.